Title: What do we need to know? As a group of local residents from across Yateley, Darby Green and Frogmore, we’ve come together to form the “Getting Around” subject group, and have started gathering evidence, exploring how a Neighbourhood Plan can help improve things for us all as we try to ‘get around’ the area. 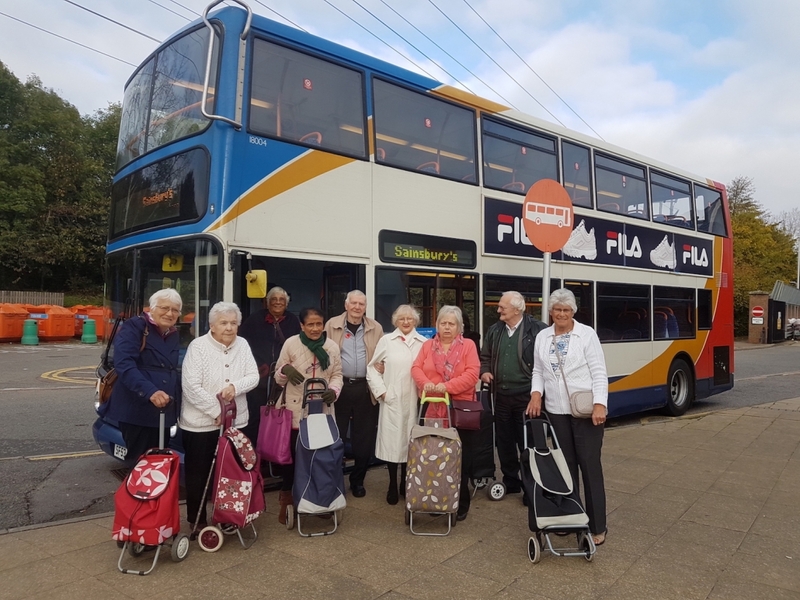 This week (25th October), a couple of us were on the free Sainsbury’s bus which takes shoppers to Watchmoor Park, on the Blackwater Valley Road, and back to their door with their shopping. Many rely on the service, and have been in despair to discover it is being axed after Thursday 8th November. and the main destinations people are heading to when they are out and about – both inside Yateley, and when they are heading out of Yateley. We are looking for all kinds of insights – whether it is about paths or crossings, junctions that don’t work, congestion on particular routes, or an un-met need for a bus route. We are interested in everything, and will be pulling together your ideas on ‘Pinch Points and Problems‘, and ‘Ideas and Solutions’. Over the coming weeks and months, we plan to be out and about speaking to groups and individuals. We can’t promise anything – but we will be able to shape future policy on planning in the town as it develops, and who knows what other initiatives might develop as a result of us coming together to improve things for us all – whether as drivers, pedestrians, cyclists or users of public and community transport. We’ll be blogging about our journey here, and in subsequent posts, we’ll also be introducing you to the members of our team who live in and around Yateley, Darby Green and Frogmore. You can contact Paul via email at paul@dutchHQ.com.